Levinas (1969) claims that "morality is not a branch of philosophy, but first philosophy" and if he is right about this, might ethics also serve as a first psychology? 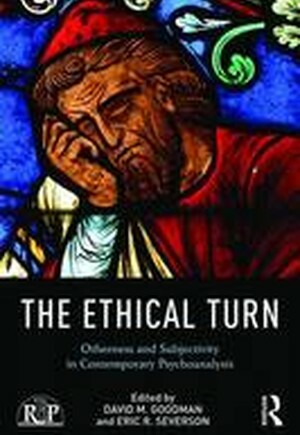 This possibility is explored by the authors in this volume who seek to bring the "ethical turn" into the world of psychoanalysis. This phenomenologically rich and socially conscious ethics has taken centre stage in a variety of academic disciplines, inspired by the work of philosophers and theologians concerned with the moral fabric of subjectivity, human relationship, and socio-political life. At the heart of this movement is a reconsideration of the other person, and the dangers created when the question of the "Other" is subsumed by grander themes. The authors showcased here represent the exceptional work being done by both scholars and practitioners working at the crossroads between psychology and philosophy in order to rethink the foundations of their disciplines. The Ethical Turn: Otherness and subjectivity in contemporary psychoanalysis guides readers into the heart of this fresh and exciting movement and includes contributions from many leading thinkers, who provide fascinating new avenues for enriching our responses to suffering and understandings of human identity. It will be of use to psychoanalysts, professionals in psychology, postgraduate students, professors and other academics in the field.